The Jonsered L2621 21-inch self-propelled front wheel drive lawn mower delivers superior mulching, bagging, and discharge performance and features the convenience of push-button, electric start. Powered by the 163cc Briggs & Stratton. 675 Series engine with ReadyStart(TM) no prime starting, and equipped with quick height adjustment and high rear wheels, the Jonsered L2621 comes with all the power and convenience you need. 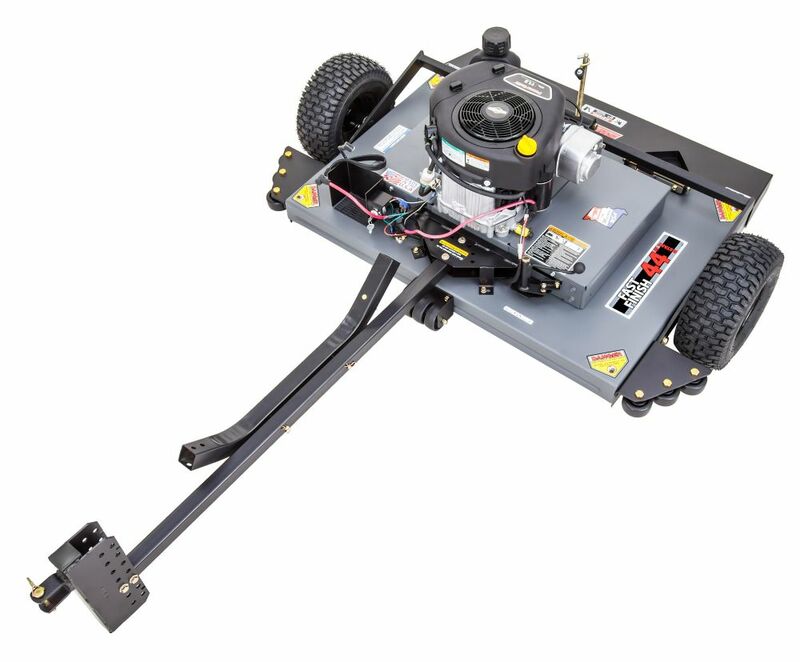 44-inch 11.5 HP Tow Behind Grass Mower is rated 4.0 out of 5 by 12. Rated 5 out of 5 by Sptyeagle from Was deliverd to mu door. Well packaged on a pallet. Easy to use and great maneuverability. Was deliverd to mu door. Well packaged on a pallet. Easy to use and great maneuverability. Rated 5 out of 5 by Chalis from I bought it for my Brother. He has been mowing... I bought it for my Brother. He has been mowing with the mower. I'm sure he is pleased ! Rated 2 out of 5 by Joseph from I had multiple problems with the mower. It wouldn't start... I had multiple problems with the mower. It wouldn't start after the first use. It turns out a wire became detached. Reattaching it fixed the issue. After that, one of the brakes on the belt came off. I had to buy a new nut and reattach it. The hitch bent and needs to be replaced now. Rated 4 out of 5 by Tom from So far happy with this mower. Only used it 3 times so far but no complaints yet. The height adj... So far happy with this mower. Only used it 3 times so far but no complaints yet. The height adjustment could be designed a little better but works fine. I build a hitch adapter to use a 1 7/8 trailer coupler to tow it on my ATV so the mower could have independent motion going up and down inclines and slopes.